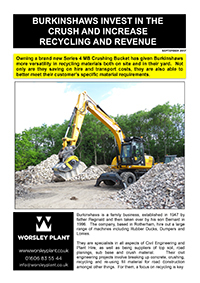 Owning a brand new Series 4 MB Crushing Bucket has given Burkinshaws more versatility in recycling materials both on site and in their yard. Not only are they saving on hire and transport costs, they are also able to better meet their customer’s specific material requirements. Burkinshaws is a family business, established in 1947 by father Reginald and then taken over by his son Bernard in 1996. The company, based in Rotherham, hire out a large range of machines including Rubber Ducks, Dumpers and Lorries. 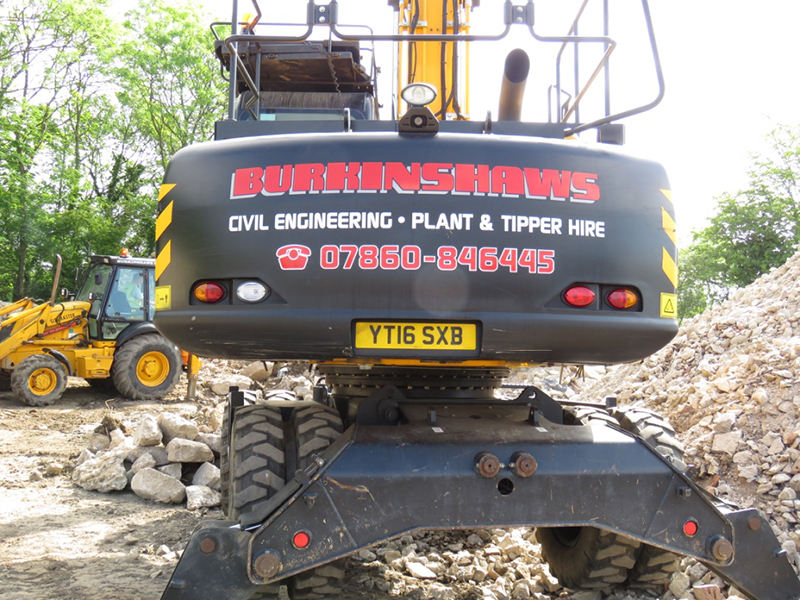 They are specialists in all aspects of Civil Engineering and Plant Hire, as well as being suppliers of top soil, road planings, sub base and crush material. Their civil engineering projects involve breaking up concrete, crushing, recycling and re-using fill material for road construction amongst other things. For them, a focus on recycling is key. 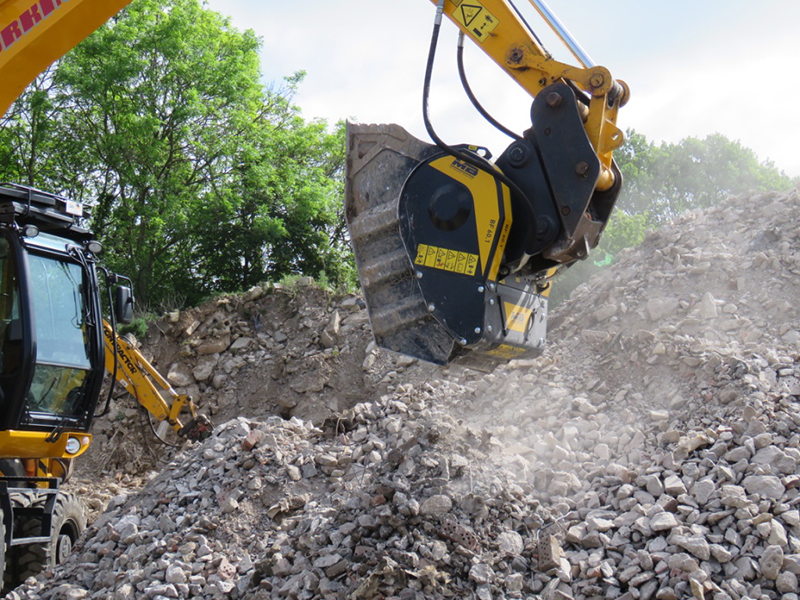 As suppliers of JCB machines, Burkinshaws had seen an MB Crushing Bucket in action at their factory, on a quarry testing ground. The bucket was on a 10t excavator and was crushing limestone. To Bernard, the benefits were clear. He was impressed. They’d previously used a tracked crusher in their yard that he’d hired in when needed. However, he realized a bucket would prove much more versatile and allow them to crush whenever they had free time, meaning it would prove productive. Therefore he chose to make the investment and contacted Mick Reeve of Worsley Plant. Burkinshaws can now tailor material to meet their customer’s requirements. They can crush from 75mm down material for a variety of uses, be it stone, concrete or brickwork. 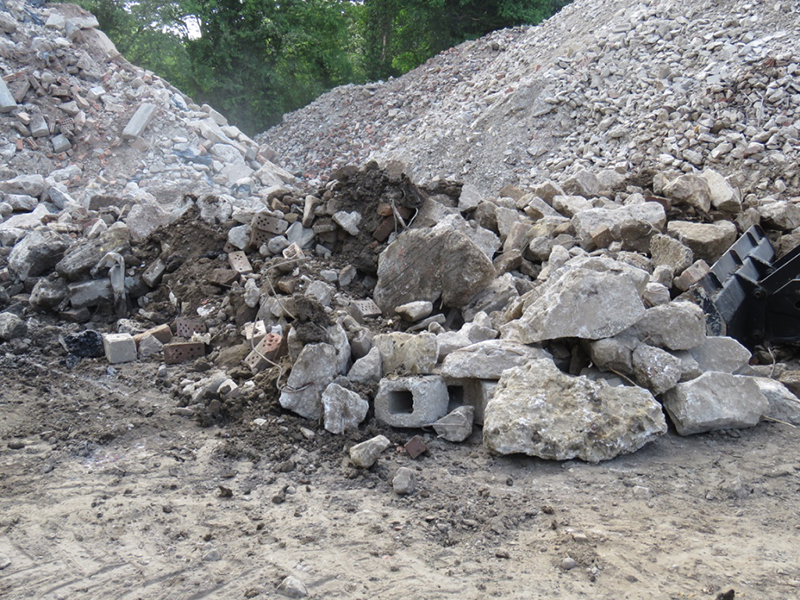 As material comes in they can crush, recycle and sell the material on or use it on their own projects.